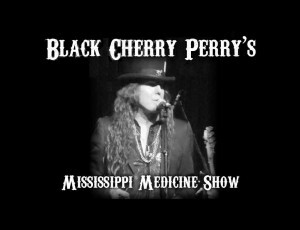 Black Cherry Perry’s Mississippi Medicine Show is “Black Cherry Perry” Gangur (vocals/harmonica), Quintin Rybuck (guitar), Viktor Szuroczki (bass) and Holly Magnus (drums). 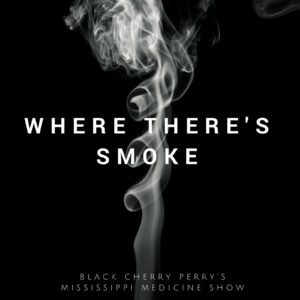 Conceived in 2003, Black Cherry Perry’s Mississippi Medicine Show has been out supporting their all original contemporary blues album, “Where There’s Smoke”, at venues, events and festivals throughout Western Canada, including the Penticton Ribfest, BBQ on the Bow, East Coulee Springfest, the Waynestock Music Festival at historic Wayne, Alberta, and opening the prestigious Calgary International Blues Festival. 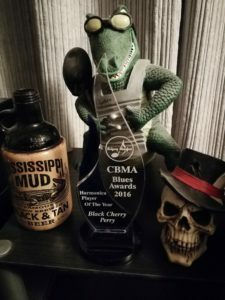 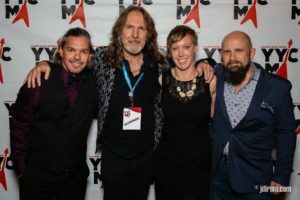 In addition to being Calgary Blues Music Association, “Road to Memphis Blues Challenge” finalists, YYC Music Awards “People’s Choice” and “Blues Recording of the Year” nominees, Black Cherry Perry was voted CBMA 2016 Harmonica Player of the Year, Viktor Szuroczki and Holly Magnus won the Edmonton Music Award for 2015 Blues Recording of the Year as part of the Tony Kaye Trio. 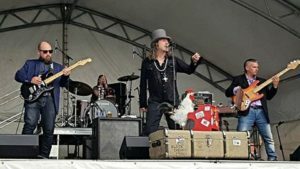 A recipient of FACTOR and Alberta Foundation for the Arts grants, Quintin Rybuck has extensive recording and festival appearances to his credit.